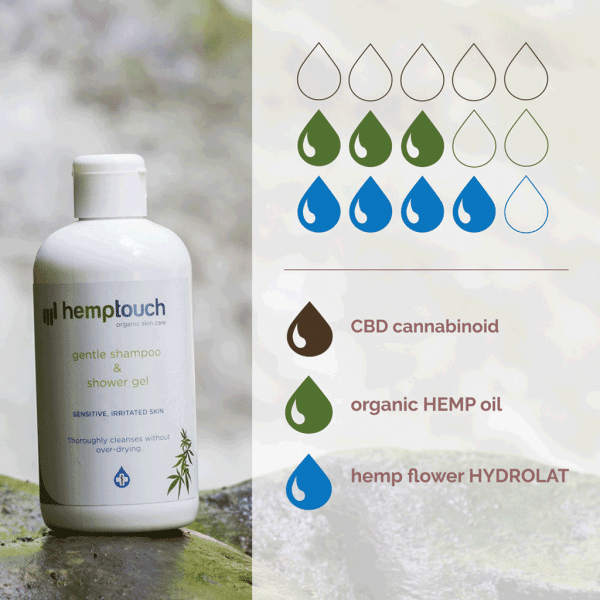 Hemptouch gentle shampoo & shower gel offers optimal care for both hair and skin. The gel is enriched with organic vanilla, which gives it a pleasant smell. Moreover, the shampoo & shower gel bursts with vitamins and minerals, which repair and strengthen hair structure. The result is voluminous hair and a healthy, supple skin.The Hemptouch gentle shampoo & shower gel with hemp-seed oil and vanilla is suitable for all hair- and skin types. 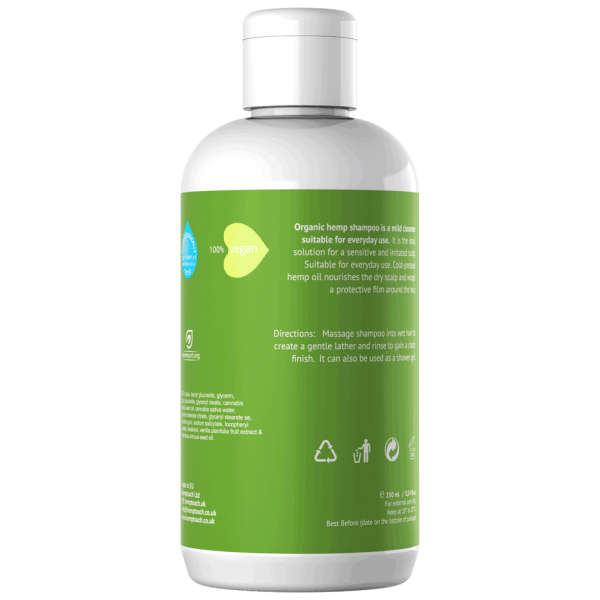 The gel is particularly suitable for irritated and reddened skin because the balanced formula contains only 100% organic ingredients, and no synthetic constituents or solvents. It revitalizes both hair and skin and cleanses thoroughly without overdrying. Use daily for the best results. 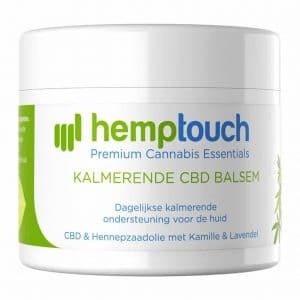 Why a shampoo & shower gel with hemp-seed oil? 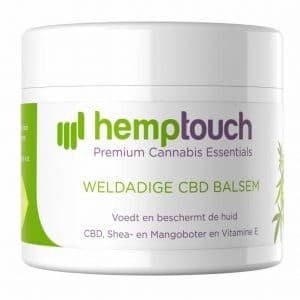 Hemp-seed oil is made from the seeds of the cannabis plant and has a nurturing and revitalizing effect. 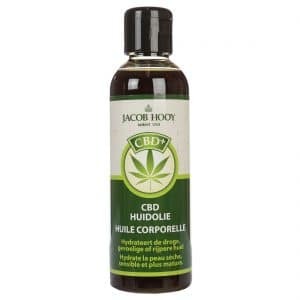 Hemp-seed oil is praised for its unique pore cleaning ability. In addition, hemp-seed oil is rich in healthy fatty acids like omega 3, 6, and 9, and contains vitamins such as A, C, E, B1, B2, and B3. Hemptouch shampoo & shower gel with hemp-seed oil, therefore, provides complete care for skin and hair. Wet the hair with lukewarm water, not too hot. Take the shampoo and emulsify in one hand. Then massage onto the scalp with your fingertips for approximately 30 seconds. Treat the entire scalp, as well as hair in this way. Rinse with warm water. 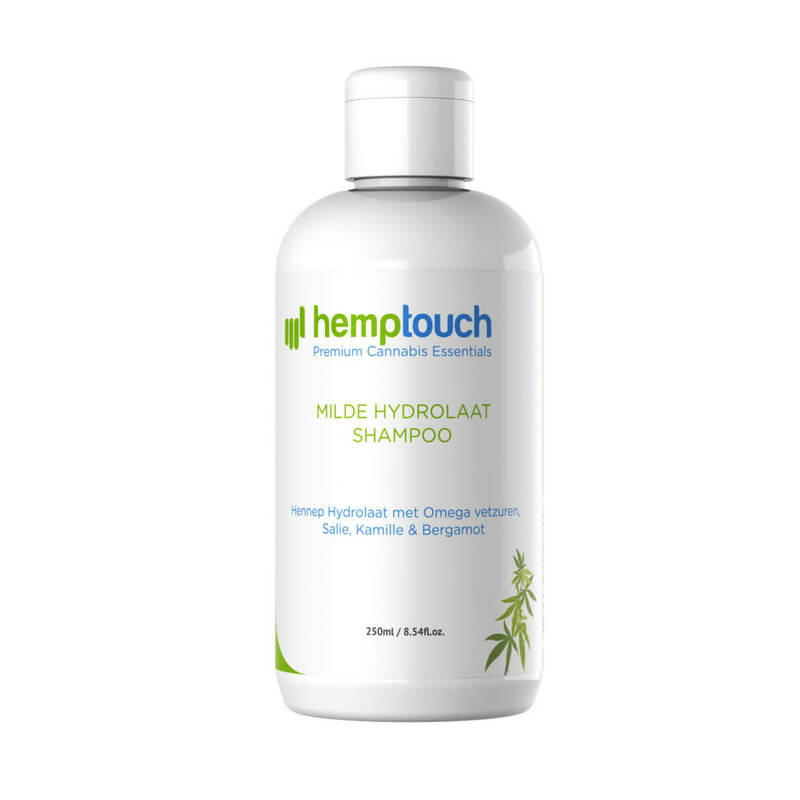 250 ml Hemptouch gentle shampoo & shower gel with hemp-seed oil, ideal for the sensitive and irritated skin.